What is the best way to keep the peace amongst the chaos in our lives? Working towards helping others doesn’t include fighting them verbally, mentally, spiritually or physically. It is important to realize when you are standing up for yourself or the rights of others, not to create more chaos. 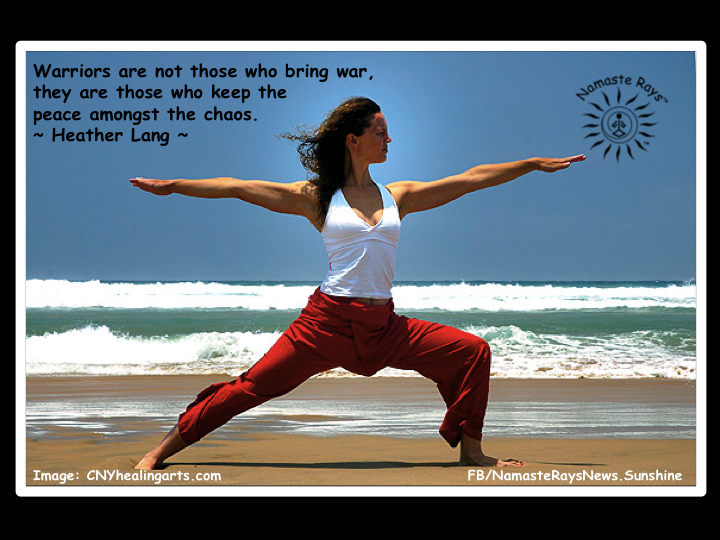 Be a warrior of peace, of love & of light. If you are concerned or worried about a situation, and you attack another person in some manner, this is not solving the problem. Warriors are not those who bring war, they are those who keep the peace amongst the chaos. If someone tries to provoke you, use the tools of the true warrior of light. Act in love and kindness back towards them. Use compassion. Be balanced and in a peaceful state at all times when confronted by those who are not acting in this manner. If you become upset, it doesn’t help you or anyone else to act in a way to then make another upset. It solves nothing. Solving issues, making sense of chaos and helping others is about peaceful interactions. These are the true warriors. The ones who can affect real change in our world. These are the warriors of light. The warriors of Light…the Divine Loving Light within us All. The Light which emanates from All. Being in this Light, we are both One and All. We recognize another to be the same as us…and they are the same as we. First, start with you. Use kindness and compassion with yourself when anxious or worried. Be loving to yourself when you are upset with yourself. The more you are able to practice this with yourself, the easier it becomes to do it with others. Realizing the way others act is a direct reflection of how they feel about themselves, it is also easier to not react poorly. It is not about you…it is about them. This helps keep the peace within you and with others. You can stand up for yourself with another with love, kindness and compassion to allow both of you to be at peace. Every little action, reaction, thought & feeling can be changed when they are yours. Practice this every day and you will be on the path to be a warrior of light! May you be a true warrior of light! Heather that was beautifully written very nicely said I’ll try to remember that what I need to be a Warrior of Light. Nama stay. Thank you, Celia….I certainly appreciate your kind words! The more people who practice this, the more peace & love we will encounter & create! Namaste!